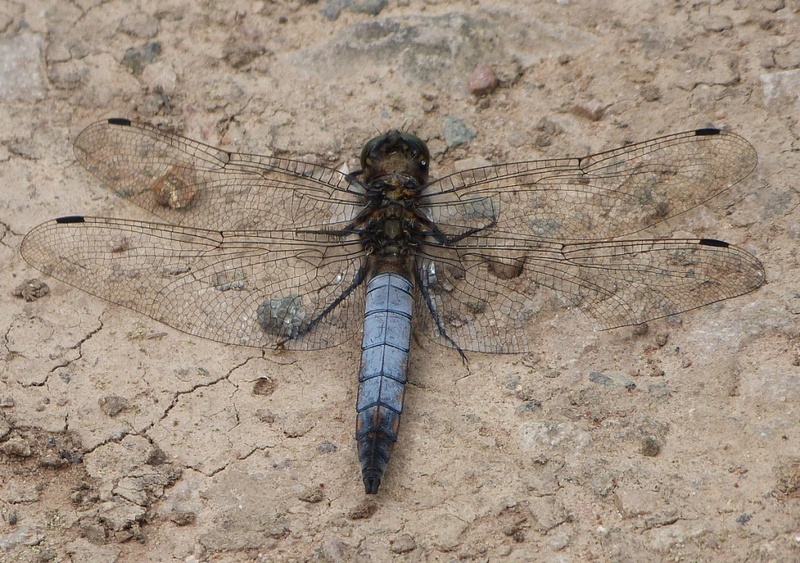 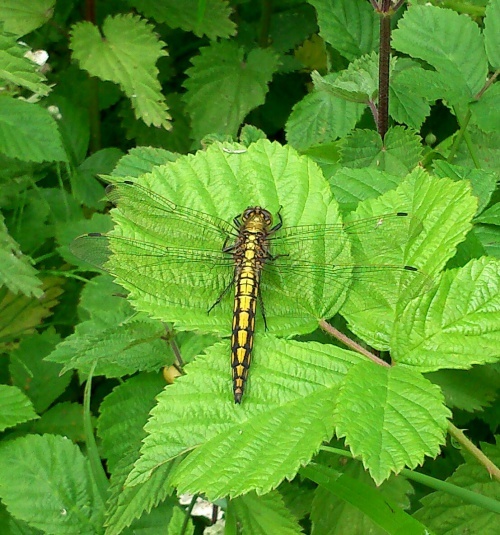 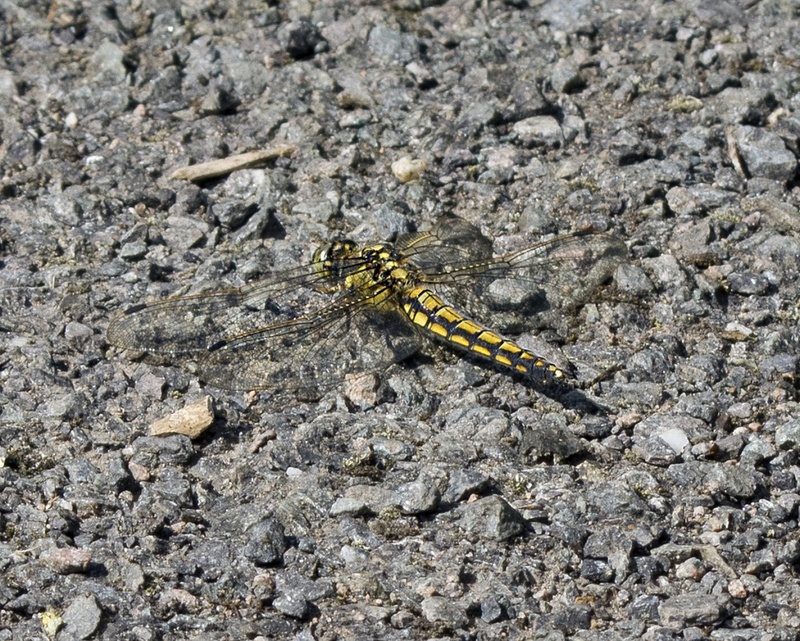 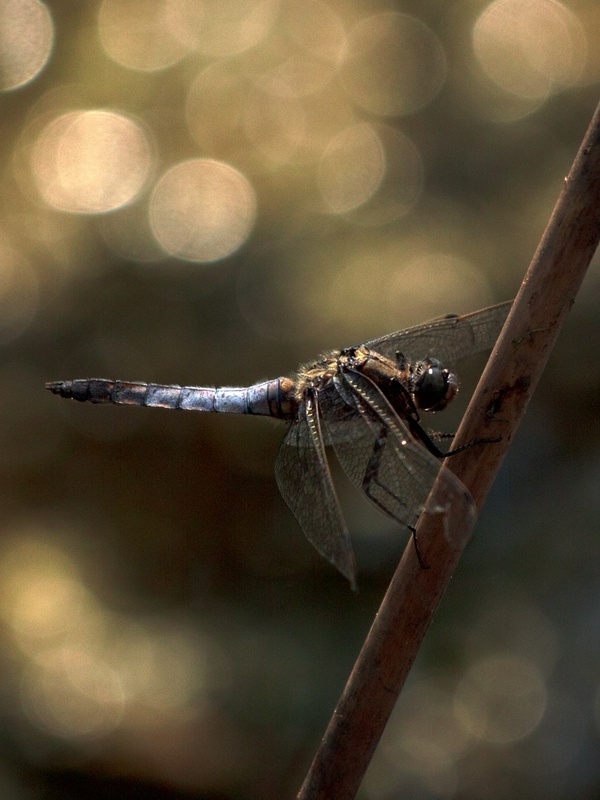 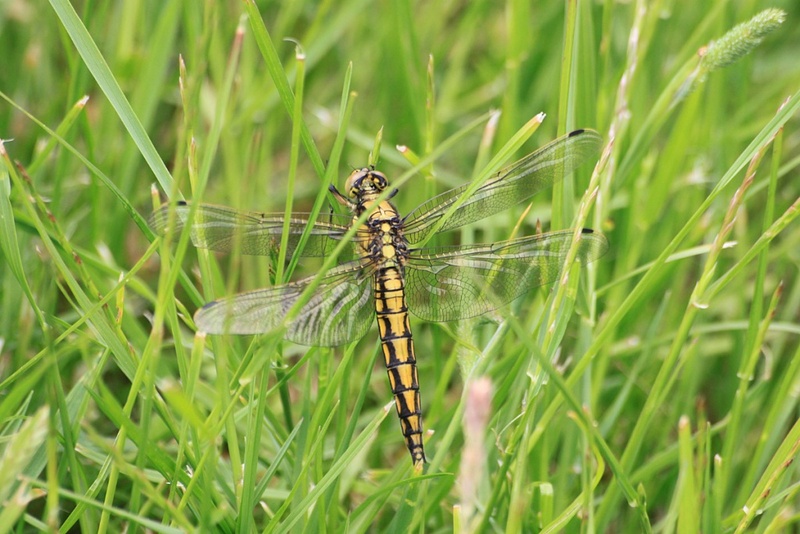 A medium-sized dragonfly with relatively broad, flattened abdomen, but not as broad as the two chaser species. Mature males have a pale blue abdomen with pale yellow spots on the sides and a dark tip. Immature males and females are unmistakable, being mostly yellow with black vertical stripes. 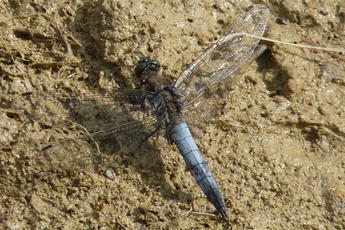 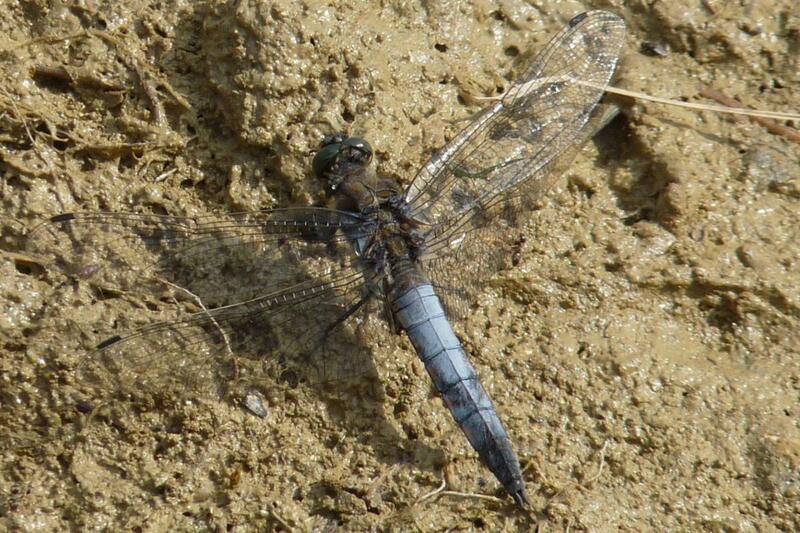 Often basking on bare waterside banks, in particular at recently dug ponds and gravel pits. 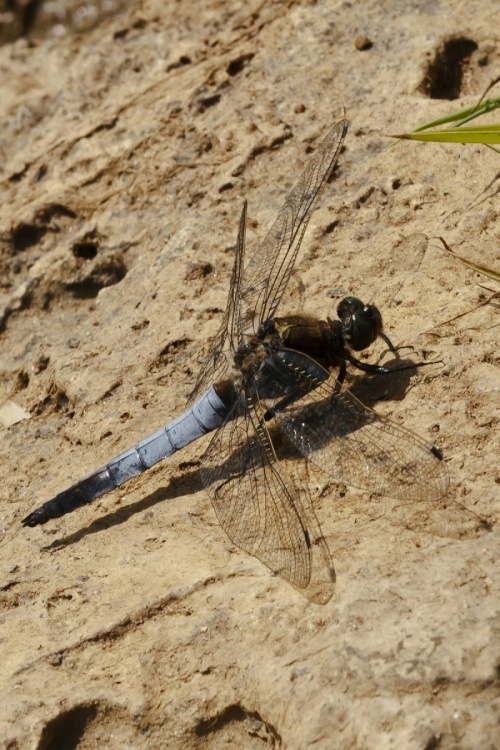 Females are less bold and not encountered as regularly. 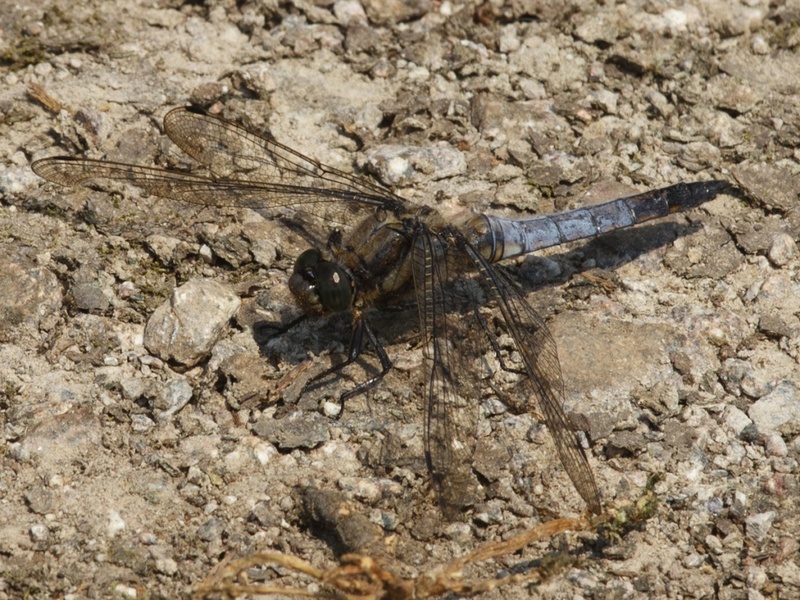 Late May to early August. 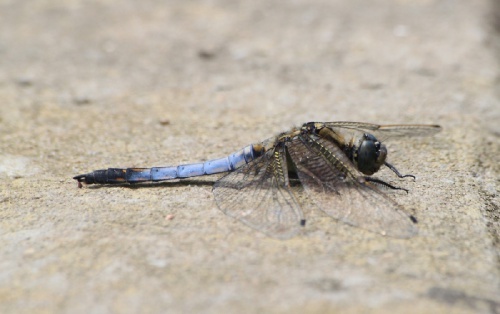 This species only appeared in Britain in 1934. The adults feed from perches, often pouncing on butterflies, grasshoppers and damselflies. Mature males are territorial, protecting an area up to 50m of bank. 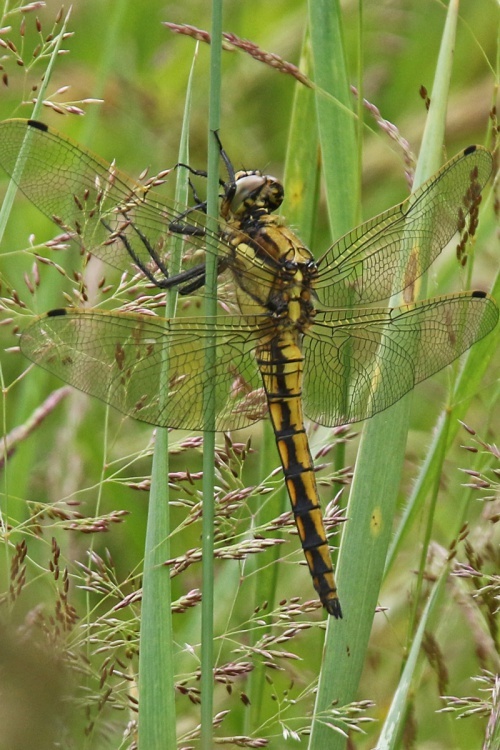 Fairly frequent over much of England south of the Humber and in south Wales, less frequent elsewhere in Britain. First recorded in Leicestershire & Rutland as recently as 1987. 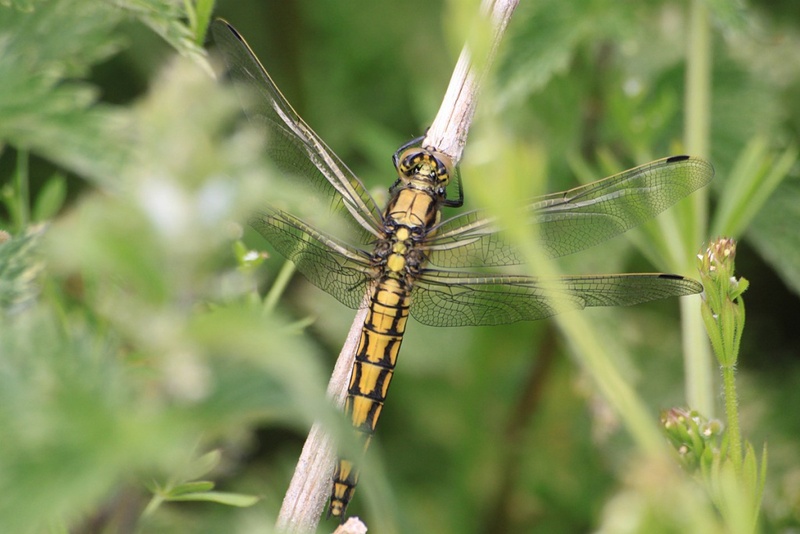 Since then it has become well established over the whole of this area and is now considered as fairly frequent. 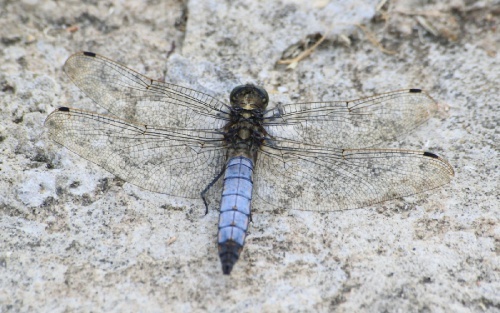 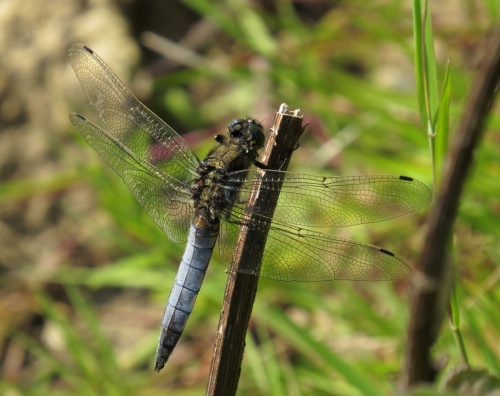 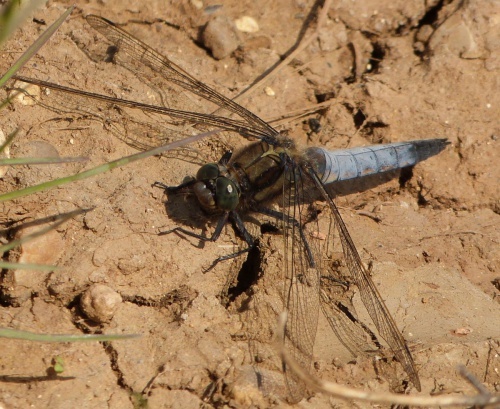 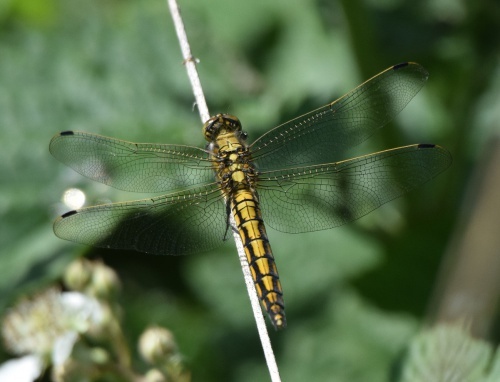 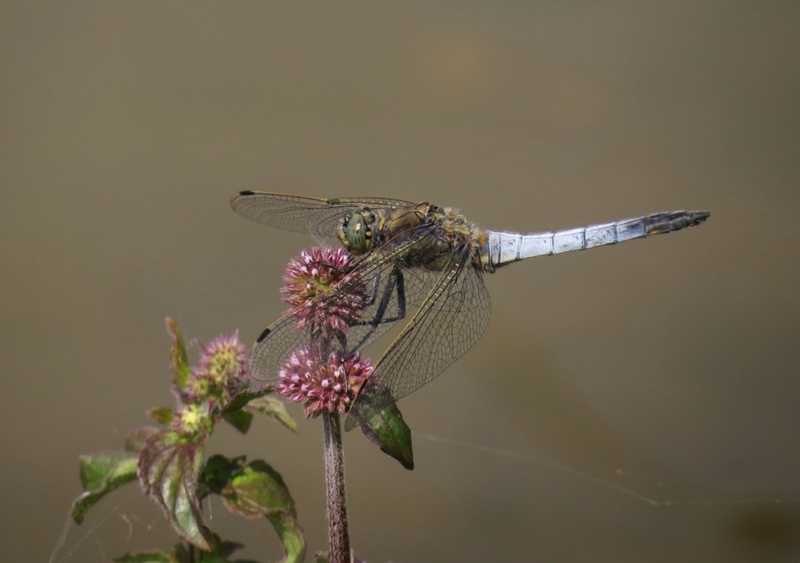 The Black-tailed Skimmer, a species with a marked preference for recently created pools, was first recorded in VC 55 as recently as 1987. 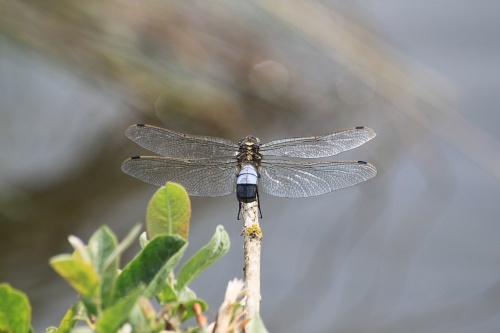 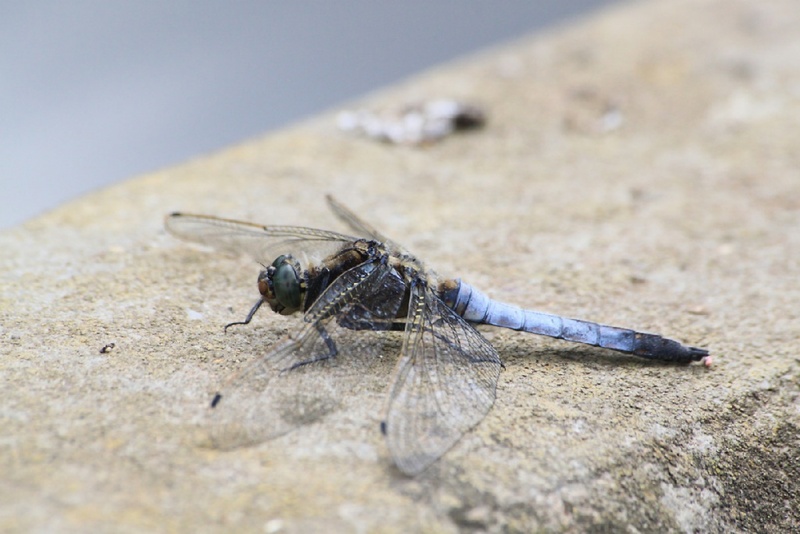 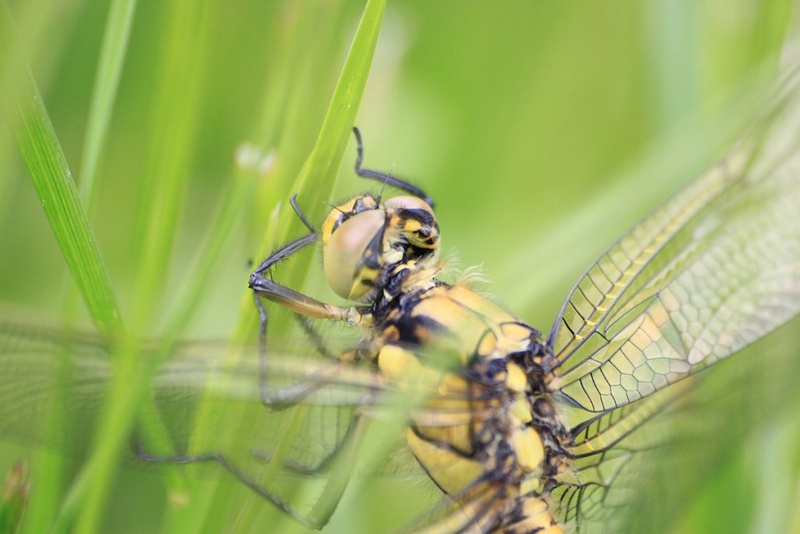 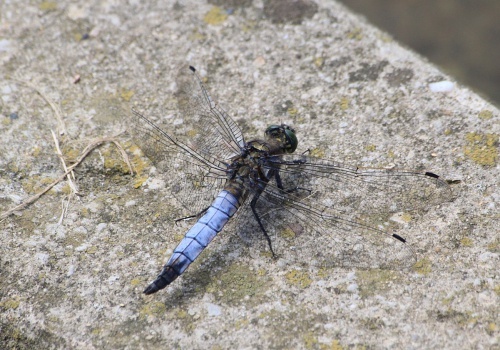 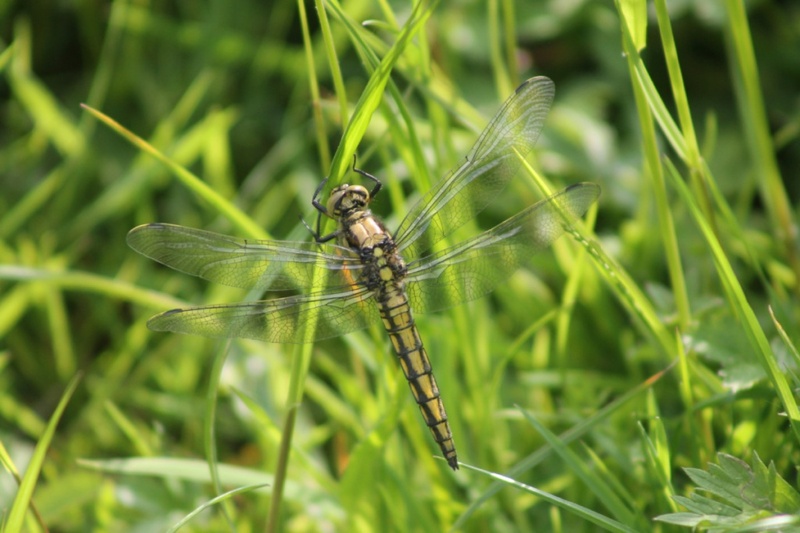 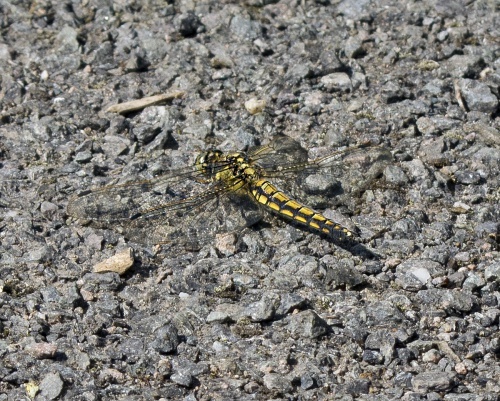 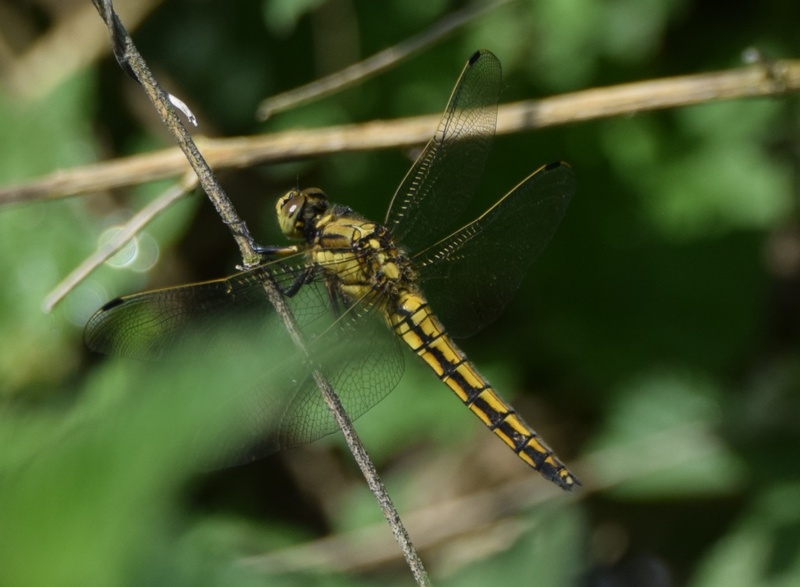 Since then it has become well established over the whole of the county and males basking on bare waterside banks are now a regular feature of the summer months, particularly in areas of mineral extraction.